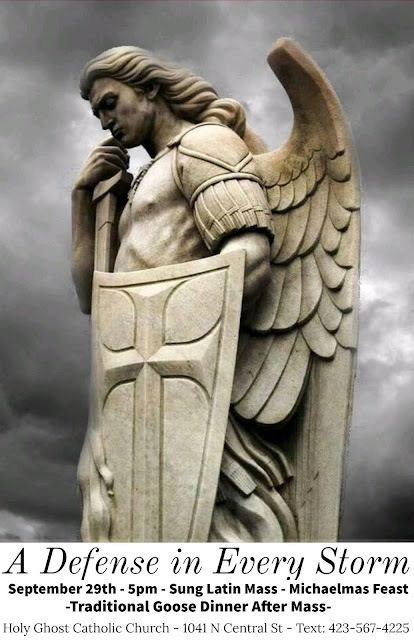 Holy Ghost Catholic Church in Knoxville, Tennessee, will celebrate a sung Mass in the Extraordinary Form for the Dedication of St Michael the Archangel, also known as Michaelmas, on September 29th, starting at 5 pm. Following Mass there will be a traditional Michaelmas goose dinner. The church is located at 1041 N. Central Street; ample parking is available.